"Thursday, May 4, 2017 Film & Discussion 6:30 pm to 8:30 pm Doors open/Refreshments: 6:00 pm The Bain Center 5470 Ruth Keeton Way Columbia, MD 21044 A free event but registration is required Social Work CEUs available About the Film: Directed by Andrea Meyerson and narrated by Meredith Baxter, LETTER TO ANITA is the story of Anita Bryant's infamous anti-gay campaign and its effect on the life of Ronni Sanlo. From having her children taken away after coming out as a lesbian, to becoming an activist for the LGBT community, Ronni's journey finally leads her to resolve and peace in the simple act of writing a letter. Discussion following the film will address the effects of anti-gay discrimination on individuals and families and the role of social activism as a tool for social change and personal resilience. " "Registration required by April 27; call Bain Center at 410-313-7213 About the Program: Cosponsored by the LGBT Older Adults Task Force of Howard County, the 50+ Bain Center, and the LGBT Health Resource Center of Chase Brexton Health Care. Refreshments provided by Somerford Place Columbia. Jessica Rowe ElderCare Consulting, LLC, is authorized by the Board of Social Work Examiners in Maryland to sponsor social work continuing education programs and maintains full responsibility for this program. This program qualifies for 1.5 Category II continuing education units." We have all heard the phrase "if you have a hammer every problem looks like a nail." I am reminded of this when I see the Trump Administration's approach to any foreign problem. From its "hard" budget with large increases in defense spending and its shortchanging the diplomatic resources by slashing the State Department's budget to its deploying a "naval armada" to the waters off of North Korea to trying to back out of negotiated agreements with Iran and most of the developed world on climate change this Administration seems to represent a leader who has issues with the "adequacy" of his manhood. Diplomacy seems like surrender to a bully. Just look at the issue of bombing a military base in Syria to show that "there is a new sheriff in town" as the only response to the horrific chemical attack on innocent civilians. I am not judging the wisdom of that military action to lessen the chance of chemical weapons being used again. Maybe it will and maybe it won't. But there is one action that will definitely improve the plight of Syrian civilians that apparently is never an option for this Administration. That option it to increase our aid to refugees who have fled the country to escape the destruction of their country and to agree to accept more vetted refugees into the United States. Apparently that is too "soft" an approach to an Administration that only has a hammer. We seem to have become a Country that has a foreign policy that is to "bomb the sh** out of them" then to remember that we once were the Country that had a leader with a different approach. Maybe we should consider what the United States represents to the World when an "America First" agenda means more coal production and weaponizing the world instead of a "Earth First" agenda of improving our fragile environment and developing the resources for peaceful resolutions to conflict. Occasionally a topic strikes a cord on Next Door Neighbor with many replies to a post. This week that topic was why the gas prices in Columbia are so much higher than in surrounding areas. Are we being gouged in Columbia because of our high median income? What are the factors that are reflected in the price of gas? State taxes are part of the issue as anyone who buys gas in another state. Last week I noticed a 20 cent drop in the price when I drove to Harpers Ferry and went from Maryland to Virginia with gas stations only a mile apart in the different states. Of course this doesn't explain the difference between the prices in Columbia and Laurel. There is something called zone pricing that wholesalers charge dealers. Wholesalers undoubtedly factor income into this zone pricing and that could have a significant impact on pricing in Columbia. Retailers in Columbia may have to pay more than retailers in Laurel. Finally like everything else competition impacts price. In Columbia you will never see two stations across the street from each other as happens in many other towns. So blame the planners of Columbia for restricting the number and location of gas stations that lessens competitive pricing of gas. A few people who posted mentioned that they only buy gas at Costco or when they are out of town. A few others mentioned buying a fuel efficient car and not worrying about the price as much. It has always made me wonder when you see someone who buys a large SUV and then go to Costco to save money to fuel their gas guzzling vehicle. Ever notice that most of the time these gas guzzlers only have one person, the driver, in the vehicle. "The American political landscape also offered a particularly soft target for dezinformatsiya, false information intended to discredit the official version of events, or the very notion of reliable truth. Americans were more divided along ideological lines than at any point in two decades, according to the Pew Research Center. American trust in the mainstream media had fallen to a historic low. The fractured media environment seemed to spawn conspiracy theories about everything from Barack Obama’s place of birth (supposedly Kenya) to the origins of climate change (a Chinese hoax). Trump, in building his political identity, promoted such theories. “Free societies are often split because people have their own views, and that’s what former Soviet and current Russian intelligence tries to take advantage of,” Oleg Kalugin, a former K.G.B. general, who has lived in the United States since 1995, said. “The goal is to deepen the splits.” Such a strategy is especially valuable when a country like Russia, which is considerably weaker than it was at the height of the Soviet era, is waging a geopolitical struggle with a stronger entity. Join us for the 10th annual GreenFest as we celebrate Earth Day Every Day.. GreenFest has lots of free and fun activities. Please visit hcgreenfest.org for more details and the schedule of events. A reminder that getting that green lawn with chemicals only washes off into our streams and creates an environmental problem. This Spring let your grass green on its own. Or better yet consider a more natural habitat than a green lawn. 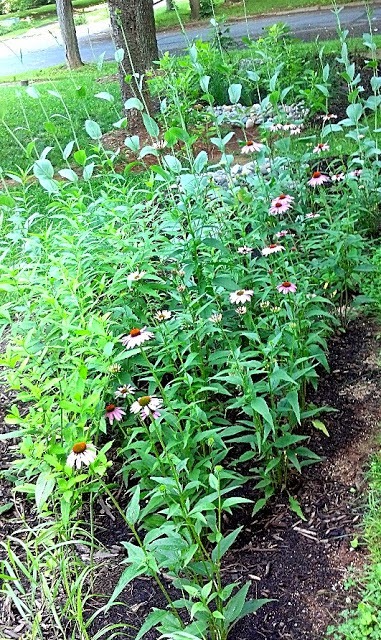 Also consider how to eliminate much of the storm runoff with a rain garden. We have been watching the construction of the Chrysalis in Symphony Woods all Winter from Little Patuxent Parkway. Now the green enclosure will be dedicated soon. 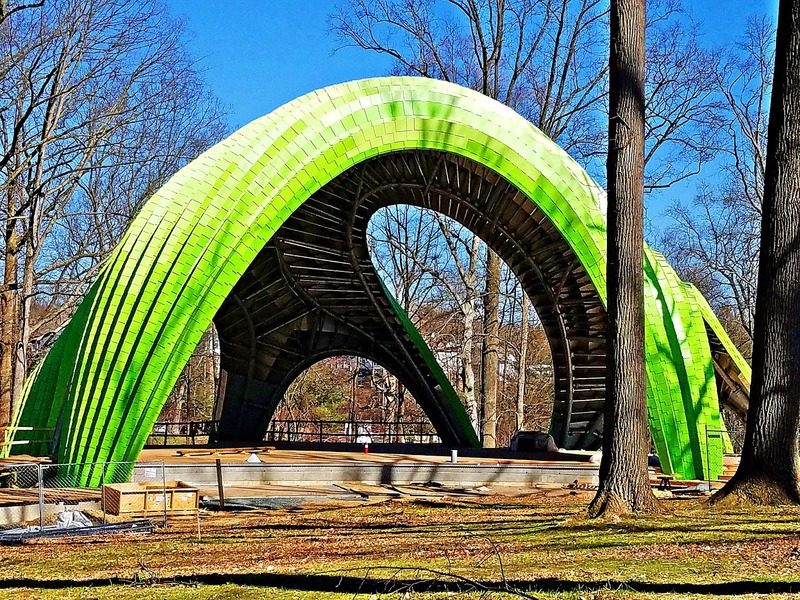 The Chrysalis dedication will be from 11 a.m. to 2 p.m. on Saturday, April 22, at Merriweather Park at Symphony Woods, 10431 Little Patuxent Parkway, Columbia, MD 21044. Read how it will be used. 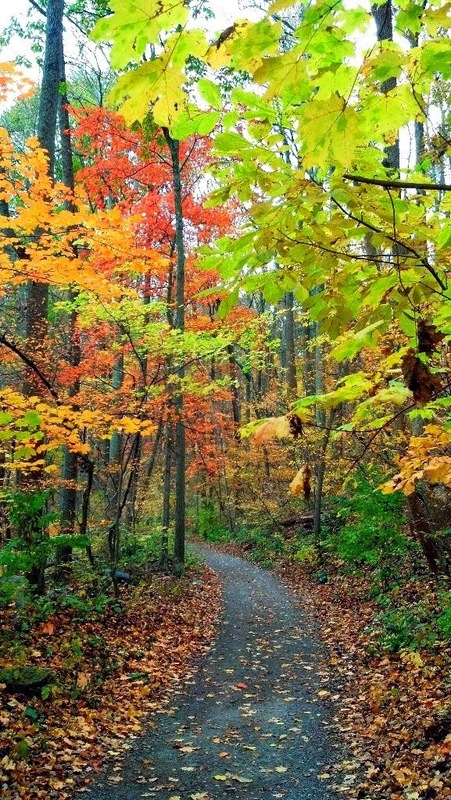 Blogger Frank Hecker has a blog on what comes next in Symphony Woods. Does anyone else have a problem with pronouncing and spelling the name?? Maybe it will be know as "that green thing in Symphony Woods." It isn't often that I give you an offer to save thousands of dollars on a purchase but I am doing that today. We all know what it is like to go to a car dealer looking to purchase a late model used car. Negotiating is never fun and you know that the dealer purchased the cars for a lot less than they are offering them to you. They have a lot of overhead for which to pay. What if you could purchase the same cars from someone who buys at the same car auctions and doesn't have the overhead? I know of someone who has a dealer licence who goes to these auctions and will find you the car you want and sell it to you at a price thousands less than a dealer. He buys the car and gets it inspected before you pay him for it. The deals have to be paid by cashier's check. I have purchased three cars from this gentleman and have nothing but praise for the quality of cars he has purchased for me. I know I saved $3000-$4000 over what I would have spent buying the same car from CarMax. If you or someone you know will be in the market for a late model used car and want to get the information on how to contact this gentleman email me and I will send you the contact information. While he can get just about any model of car he specializes in Toyotas and Hondas. 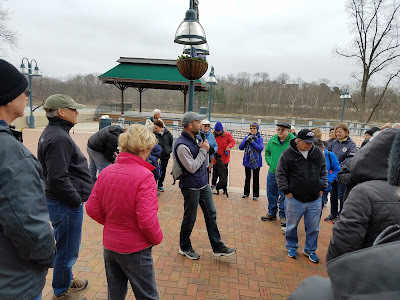 “Exploring Columbia on Foot” will once again be led by award-winning environmental author Ned Tillman, who will guide discussions on the nature, history and future of these wonderful outdoor settings, including the plans for them and challenges they may face in the near future. Each walk will be about two miles long, with four to five stops along the way. For more information, contact CA’s Open Space Management Division at Open.Space@ColumbiaAssociation.org or 410-312-6330." Can you name the second most valued American car company? If you guessed Ford you are wrong. The big three American car companies have long been General Motors, Ford and Chrysler. Now a company that is only 14 years old has replaced Ford as the second highest valued American car company. The Tesla Motors is now the second highest valued American car company based on the value of all its stock. However just as this has happened Tesla has dropped the word "motors" from its name because it plans to move beyond just being an electric car company. Its expanding business will now be to produce batteries in its Gigafactory , shown above in the Nevada desert, at such a low cost that battery powered cars will be price competitive with gas models. Tesla is thinking bigger than just car batteries. Batteries have the potential to produce energy cleaner and cheaper then what is being produced with fossil fuels. Not only is he planning on building the batteries he has a plan that is a "vertically integrated company that builds electric vehicles, batteries to store the power to propel them, and the solar panels to generate that power. He also wants to electrify everything from pickups to busses to 18-wheelers." This model of vertical integration is similar to what Rockefeller did to control the oil market over a hundred years ago. This promise of unlimited potential vertical growth (think the 21 Century Standard Oil) is what is driving the valuation of Tesla not what it is presently producing. Investors have driven the price of Tesla stock up wanting to get in on the ground floor. So while Trump is promising to produce more coal, yesterday's energy, and bringing back blue collar jobs, yesterday's jobs, investors are putting their money on Elon Musk and Tesla as to where the future energy and jobs markets will be. I recently wrote about Sears facing possible bankruptcy. Now we learn that the Sears store that has anchored one wing of the Columbia Mall is going from two floors to one floor. While this may be more telling about Sears future than the future of the Columbia Mall it does make one to wonder how long the concept of an enclosed mall will work in Columbia's downtown. The latest additions to the Mall have been to a more open concept. By the way, Champps and Unos in the newer section have closed. How is the Columbia Mall relevant as the focus of downtown Columbia? As we hear talk about changes in the downtown area of Columbia the fact is that the original concept of Columbia came from a company that existed primarily by building enclosed malls. Hundreds of square feet of enclosed retail shopping surrounded by acres of parking was relevant in the 1960's suburban development but how does it translate to the development of today's online retail world? Is it too early to talk about life after the Columbia Mall? Maybe Columbia will always be nothing more than a nice suburb as long as it is tied to the suburban enclosed mall concept. If we were to look at the space being occupied by the Mall becoming a "downtown entertainment area" that would give us a more urban feel. What would this downtown entertainment area look like? I found this article that gave 12 ways to make a downtown more vibrant. Some of the points may not apply to Columbia but some are worth looking at and some might have to wait for the land to be remade that now is occupied by our 1960's relic. For a good read on Rouse's ideas for Columbia the book "Jim Rouse: Capitalist/Idealist by Paul Marx is a good place to start. It can be read online at Google books. With the Trump administration relying on Jared Kushner to handle foreign policy for the United States (what ever happened to the Secretary of State Tillerson?) we can only guess that marrying into the Trump family is the only experience you need to negotiate diplomatically on behalf of the United States. If you are looking for a cushy government job I hear that Tiffany Trump is still single. Oh, knowing a few well connected Russians probably helps too. 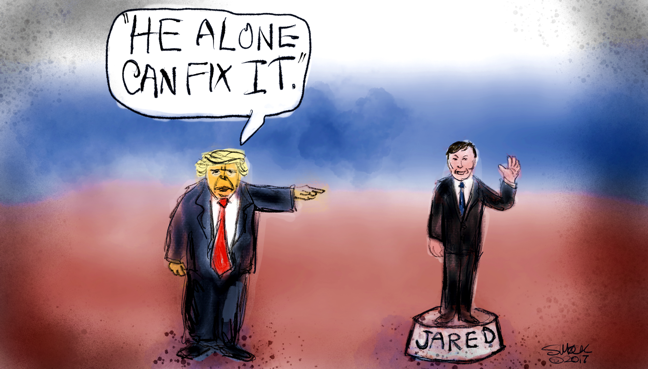 Can't help thinking that naming a male baby Jared was already out of favor because of the "other" Jared. Now with Jared Kushner it may sink again. "#OneHoward Community Dialogues are small group facilitated conversations designed to help us better communicate with one another. To be a community known for civility and inclusiveness, we must first seek to understand and empathize with one another. We are often hindered because we make assumptions based on our own beliefs. 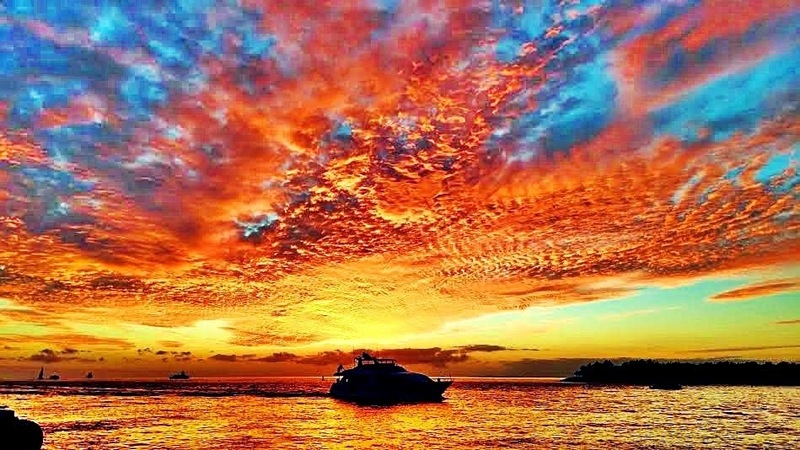 What experiences shape our feelings and thoughts? How can we examine our values and beliefs? Where did we learn our assumptions? These questions are important to ask, but they often go unexplored, creating a foundation for fear or misunderstanding. Engaging in small group facilitated dialogues can begin the process of building meaningful relationships and an inclusive community. 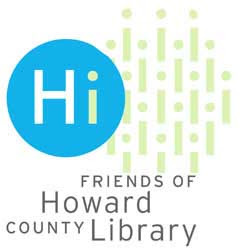 #OneHoward is partnering with the Columbia Association and the Howard County Library System to organize dialogues throughout our County in different formats. Columbia Dialogues, hosted by the Columbia Association, are a 9-hour commitment (three sessions, three hours in duration each). For more information, click here: https://www.columbiaassociation.org/facilities/youth-teen-center/upcoming-events-calendar/events/partner-other-events/columbias-50th-birthday/columbia-dialogues/. The Howard County Library System hosts Community Dialogue Circles that are one-hour commitments. For more information, click here: http://choosecivility.org/events/event/. How do the #OneHoward dialogues work? Groups will be comprised of no more than 15 participants from diverse backgrounds and 2 trained facilitators. Groups will generally run for 2-3 hours. Group topics can touch upon difficult or divisive subjects such as race, religion, immigration, gender/power dynamics, sexuality, and other current issues. Participants must register for dialogues, and will receive confirmation by email or phone. Because we are trying to ensure groups are as diverse as possible and have a small group feel, participants will be placed into groups based on demographics and capacity (no more than 15 people per dialogue group). Registrants may be asked to participate in future dialogues, but will be assigned on a first-come, first-served basis to the extent possible." 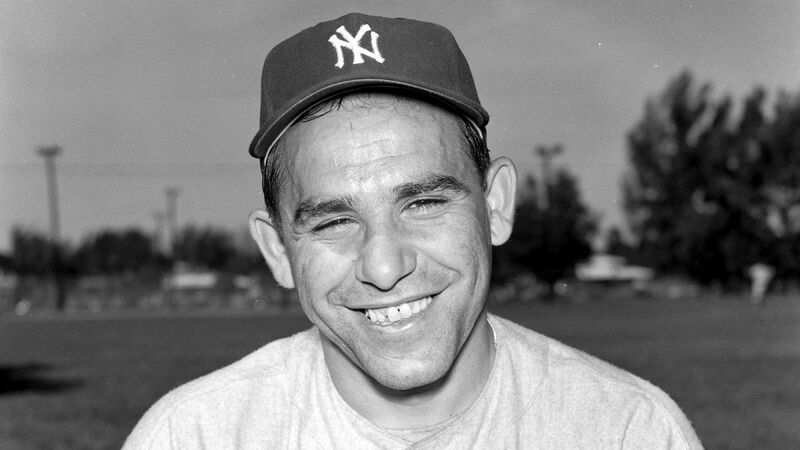 Streets in Columbia's Villages named after quotes of Yogi Berra! To find the street in your Village taken from a Yogi Berra quote click here.